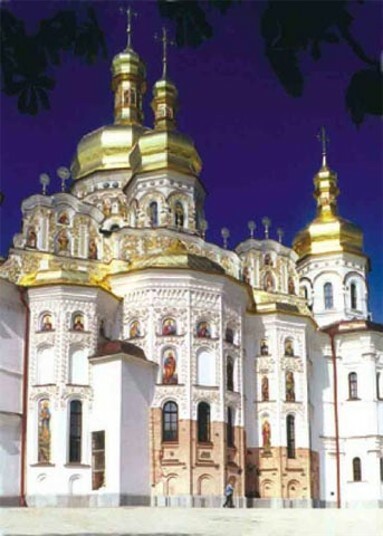 Dormition Cathedral of the Kyivan Cave Monastery. 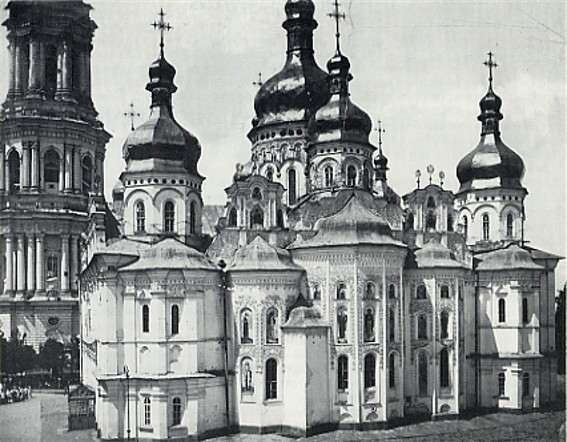 (Photo: Dormition Cathedral before its demolition in 1941; reconstructed Dormition Cathedral.) The main church of the Kyivan Cave Monastery. 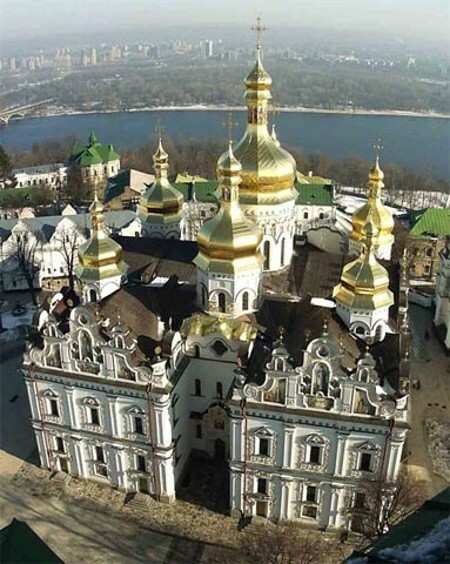 Built in 1073–8 at the initiative of Saint Theodosius of the Caves during the hegumenship of Stefan of Kyiv and funded by Prince Sviatoslav II Yaroslavych. 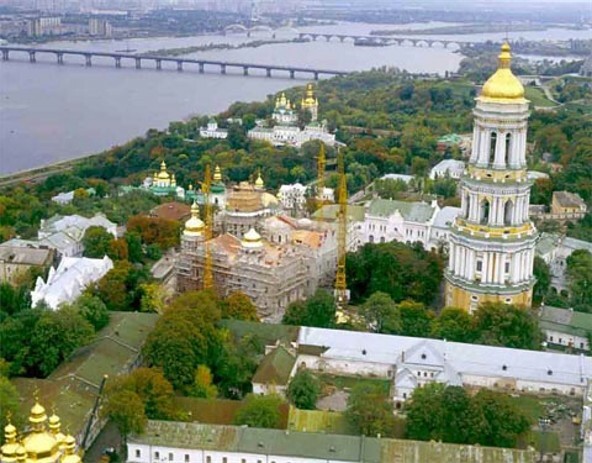 The cathedral consisted basically of one story built on a cruciform plan with a cupola supported by six columns. It had three naves, which on the outside terminated in many-faced apses. The cross section of the columns was cross-shaped. 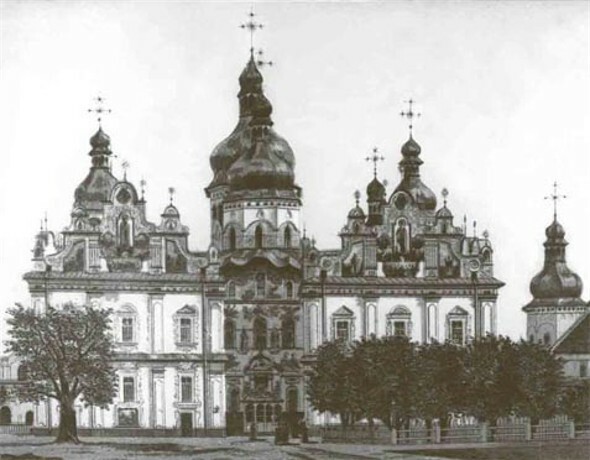 The proportion of the building's length to its width (3:2) became normative for the churches of the Princely era. 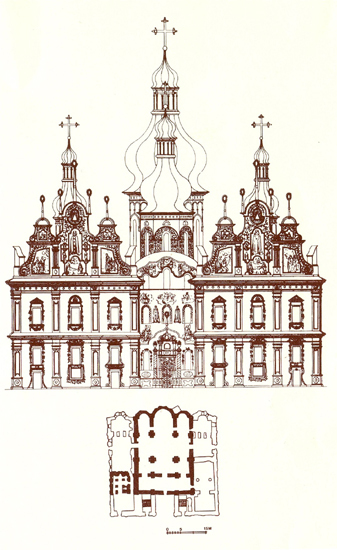 (See Plan of the Dormition Cathedral.) 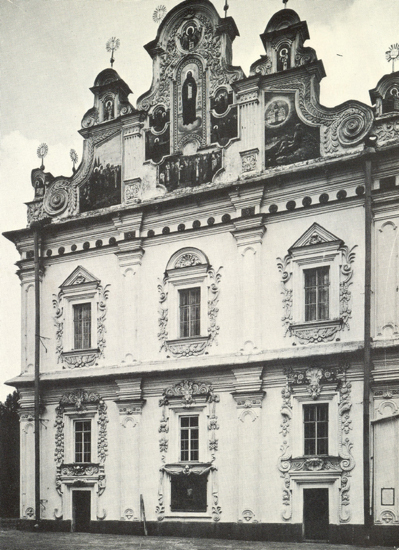 The facades were divided by flat pilasters with semicircular garlands between them. The external walls had brick ornaments (meandering friezes). Inside, the central part was decorated with mosaics (including an Oranta), while the rest of the walls were painted with frescoes. According to the Kyivan Cave Patericon, Master Olimpii was to have been one of the mosaic masters. After many reconstructions these artistic works have been lost. At the end of the 11th century many additions to the cathedral were built, including Saint John's Baptistry in the form of a small church on the north side. 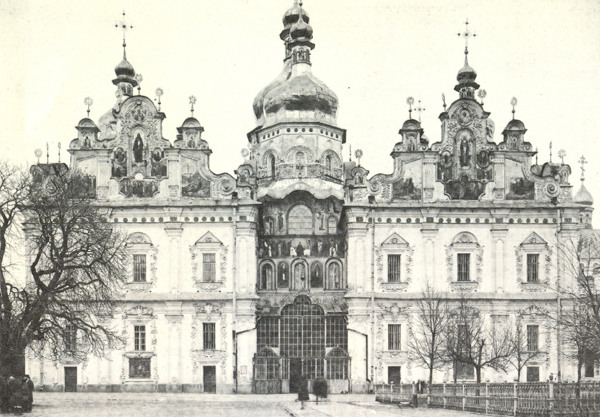 In the 17th century more cupolas and decorative elements in the Cossack baroque style were added. 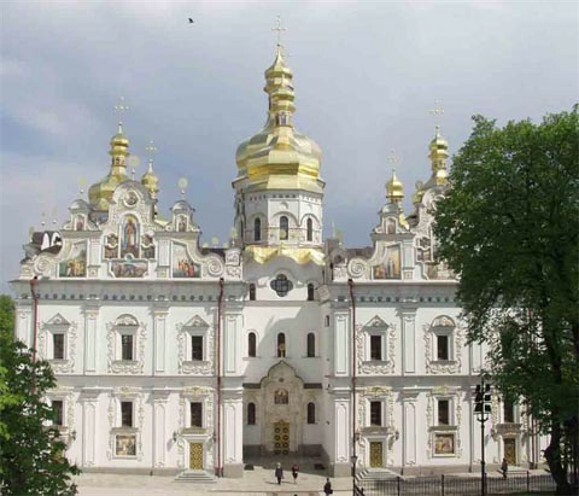 As the Soviet Army retreated from Kyiv on 16–17 September 1941, mines were placed under the cathedral, and on 3 November it was blown up. 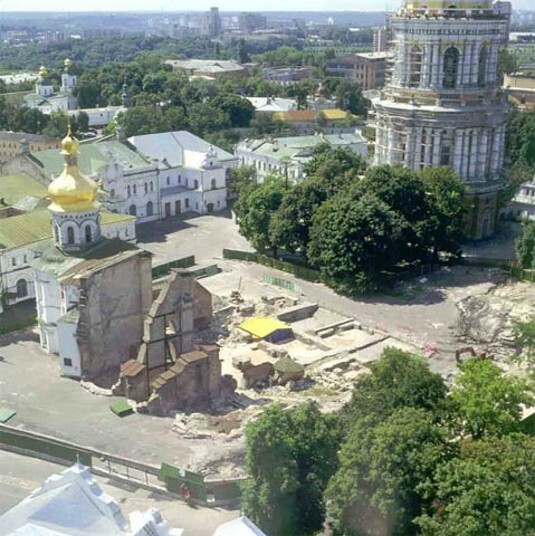 The reconstruction of the cathedral began in 1998 and was completed in time for its reconsecration during the Ukrainian Independence Day ceremonies in August 2000.